Central Florida Golf recently named John Montgomery the company’s new director of instruction at Kings Ridge Golf Club, a popular Orlando-area 36-hole facility. Montgomery, a graduate of Alabama State University where he was a four-time First-Team All-Southwestern Athletic Conference golfer, is one of the country’s top junior-golf coaches having worked for two of the leading junior academies prior to joining Central Florida Golf. 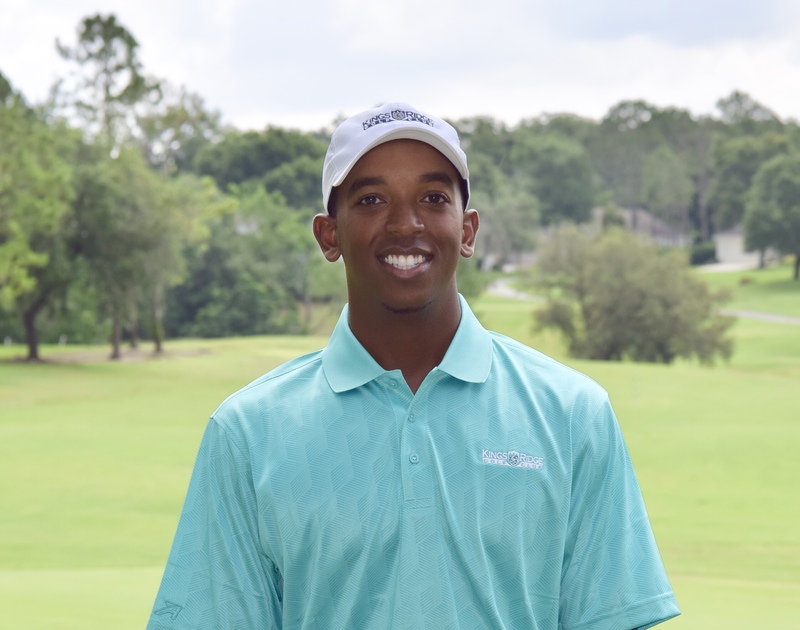 Most recently, Montgomery was part of the staff at nearby Bishop’s Gate Golf Academy, the country’s largest full-time junior golf academy with 70-plus resident golfers who also attend college prep school Montverde Academy during the day. The Pittsburgh native started his coaching career with Core Golf Academy in 2014, the now-defunct junior golf academy associated with Tiger Woods’ former coach, Sean Foley (Bishop’s Gate acquired Core Golf a couple years ago). Montgomery officially started his new Kings Ridge duties June 11 when he kicked off eight consecutive weeks of summer camps. Montgomery says he eventually plans on hosting a PGA Junior League at Kings Ridge and looks forward to working alongside the philanthropic First Tee program, which recently named Kings Ridge one of Orlando’s official First Tee facilities. Most importantly, Montgomery, who graduated from Alabama State in 2012 with a degree in business marketing after helping lead the school to its first SWAC golf championship, is eager to use Kings Ridge as a springboard to further grow the game’s future golfers. Kings Ridge is part of sold-out age-restricted community in Clermont, Fla.
Kings Ridge features a regulation par-71, 6,269-yard championship course called Kings Ridge South and the adjacent 18-hole par-57 3,584-yard short course known as the Ridge Course. The latter layout or “Thinker’s Course” makes for a great training ground and features rare rolling terrain and natural elevation changes. Besides King’s Ridge, Central Florida Golf also owns the semi-private RedTail Golf Club in the small town of Sorrento and upscale Eagle Creek Golf Club on the east side of Orlando. Co-Managing Partners Kenny Nairn and Larry Snyder, CGCS, started Central Florida Golf a couple years ago after illustrious careers in the industry. Nairn, a Scottish PGA Professional born in St. Andrews, Scotland, is a member of the PGA of Great Britain & Ireland, the European Golf Teachers Federation and Golf Channel Academy staff. Nairn also is an accomplished player and Ping National Club Fitter having won the Wilson World Pro-Am Tournament at Pebble Beach in 2010 and 2013. Snyder, a Certified Golf Course Superintendent since 1985, is equally accomplished on the golf course maintenance side of the business. He started his superintendent career in 1976 and represents three generations of certified course superintendents. Snyder also gained significant experience in course design and construction under the guidance of his uncle, Arthur Jack Snyder, past president of the American Society of Golf Course Architects. By adding Montgomery to Central Florida Golf’s team, Nairn says Kings Ridge is positioned for even greater growth. To learn more about Central Florida Golf, visit www.CFLGolf.com.